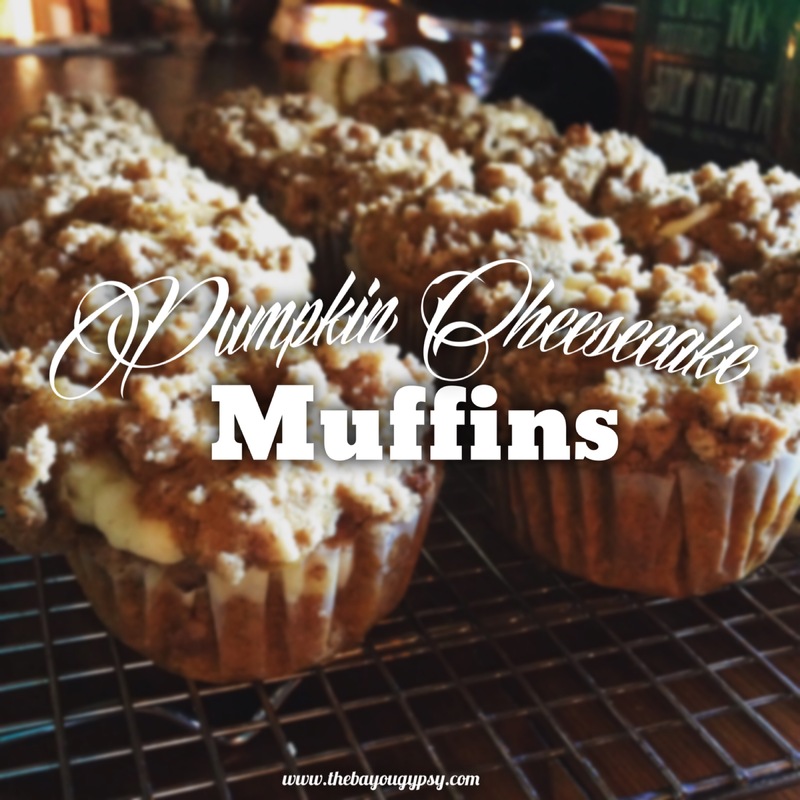 What better way to start the fall season than with some pumpkin cheesecake muffins. I discovered the recipe a few weeks ago when I began searching for Halloween inspired brunch options. I’ll be hosting my first Witch’s Brunch this year and am in full fall/Halloween swing over here at the farm. While browsing Pinterest, Sally’s Baking Addiction popped up on my feed. 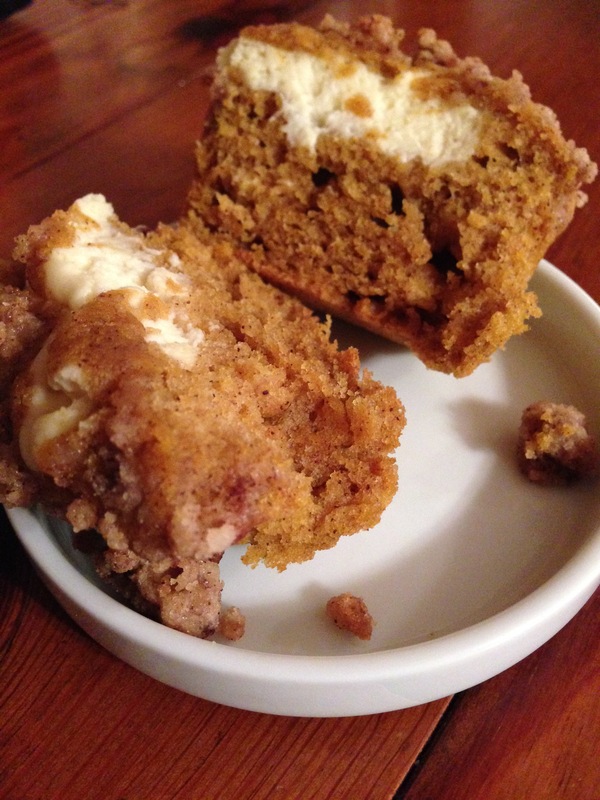 Her pumpkin spice muffins stuffed with cheesecake filling and topped with brown sugar cinnamon streusel was the best find EVER. I tested her recipe out as sort of a dress rehearsal for the Witch’s Brunch and am now sharing it with you. 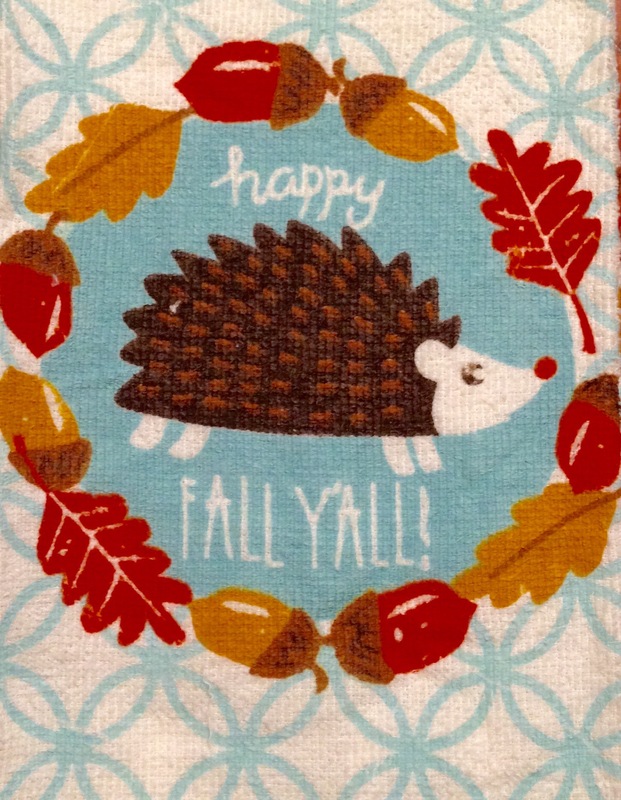 Enjoy my friends! Preheat oven to 425 and line 2 muffin sheets with 14 liners or spray with non-stick spray. Knock out the crumb topping first. Add brown sugar, flour and cinnamon to small bowl, mixing until well combined. Add the melted butter to flour mixture until crumbs form. You will add this as the topping at the very end before baking. Next, you begin the pumpkin muffin portion. Toss flour, baking powder, baking soda, salt, cinnamon and pumpkin pie spice in a large bowl. Set aside. In a separate bowl, whisk brown sugar and eggs until combined. Whisk in the pumpkin purée, oil, milk and vanilla. Pour the wet portion into the dry portion, stirring until combined. Do not over mix the batter on this part. Last, you make the cheesecake filling. Beat the softened cream cheese with an electric mixer on medium speed until creamy. Add the egg yolk, vanilla extract and sugar. Beat until combined. Spoon 1 tablespoon of pumpkin muffin batter into each muffin cup and layer with 1 spoonful (less than a tablespoon) of cheesecake filling. Add another Tablespoon of pumpkin muffin batter on top, filling each muffin cup to the top. 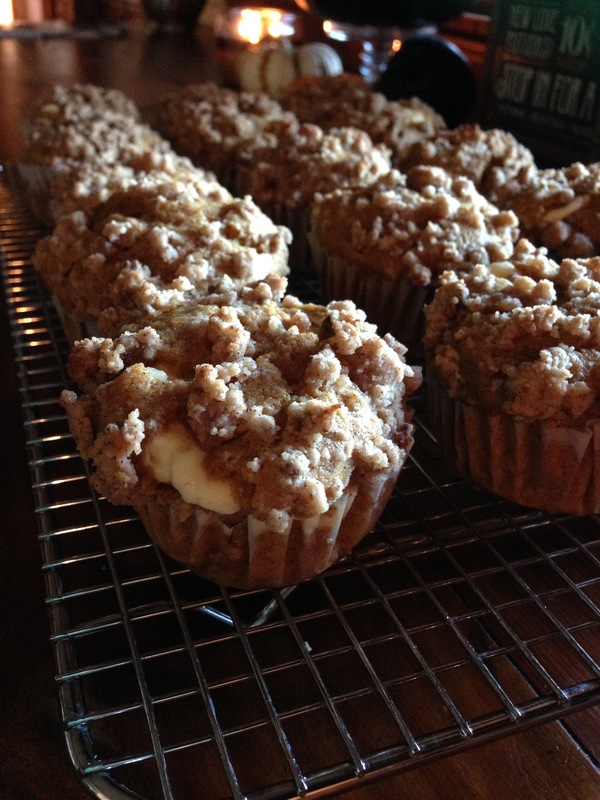 Sprinkle each muffin with the crumb topping you made in the beginning. They are now ready to bake! Bake for 5 minutes at 425 and then 15-16 minutes at 350, keeping the muffins in the oven the entire time. Allow the muffins to cool in muffin sheet for 10 minutes and transfer to wire rack to finish cooling. * One awesome thing about these muffins is the ability to make them and freeze up to 3 months. It is suggested to thaw overnight and heat up if desired when ready to serve. Previous Post Phase 1 DONE! Next Post Dreaming of Daffodils and Daisies.